At least six Chinese ships covertly engaged in trade with North Korea in violation of sanctions imposed by the United Nations, according to satellite photographs and other intelligence gathered by U.S. officials, The Wall Street Journal reported Thursday. The ships reportedly turned off their tracking devices prior to entering North Korean ports, traded what U.S. officials determined was "illicit cargo," and switched them back on as they headed to Russia or Vietnam. All six ships are owned or managed by Chinese companies or firms, according to an analysis of corporate and shipping records by The Wall Street Journal. China's foreign ministry told The Wall Street Journal that Beijing acts in full compliance with the U.N. sanctions, adding "Any measure taken by the [United Nations Security Council] should be based upon conclusive evidence and facts." The report comes a day after President Donald Trump accused Russia of not doing enough to help squeeze North Korea economically as part of the broader effort to pressure the rogue state to step away from its nuclear program. In doing so, Trump also somewhat complimented China on its efforts in this regard. At the White House on Wednesday, Trump said, "Russia is not helping us at all with North Korea. What China is helping us with, Russia is denting. In other words, Russia is making up for some of what China is doing." But the president has gone back and forth with his stance toward Beijing's relationship with North Korea. In late December, after reports surfaced that China had violated the U.N. sanctions, Trump tweeted: "Caught RED HANDED - very disappointed that China is allowing oil to go into North Korea. There will never be a friendly solution to the North Korea problem if this continues to happen!" 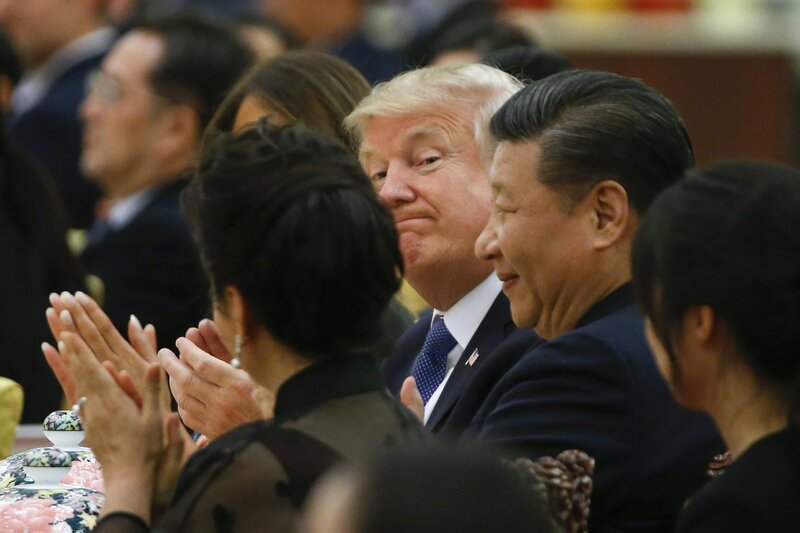 The Wall Street Journal report could put a damper on U.S.-China relations and perhaps lead to more tweeting or denouncements from Trump. Newsweek reached out to the White House for a comment on the report, but did not hear back by the time of publication.